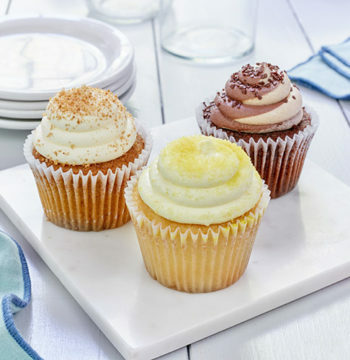 When you treat yourself to Kimberley’s Bakeshoppe™, you are tasting happiness! Kimberley’s Bakeshoppe™ creations are inspired by small, independent bakers – the kind who deliver unforgettable taste sensations. Just like these dedicated spirits, we work tirelessly everyday to expertly craft each cupcake creation… just for you. We are committed to using the freshest, highest quality ingredients to create superbly delightful recipes. 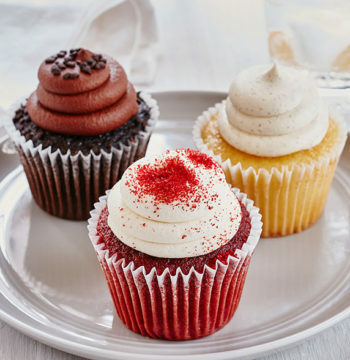 Take our cupcakes home and try one… or two. 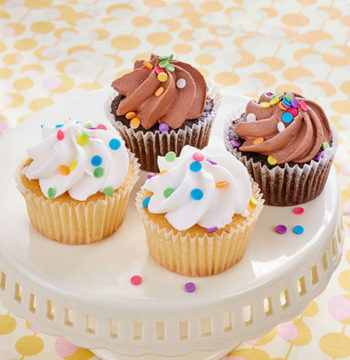 Celebrate the arrival of your baby with these delicious cupcake bundles!